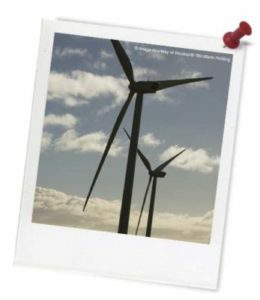 Quick summary: Students explore the topic of wind and wind energy. They begin by brainstorming ‘windy’ words, illustrate these words and use them in sentences. They look at using wind to create electricity, first watching a clip of a wind farm and then making their own wind turbine. Students understand that we can use wind to create energy and electricity. Students recognise words and text relating to wind and weather. Cross-curriculum priority: Sustainability – OI.8. Syllabus outcomes: ENe-1A, ENe-2A, EN1-1A, EN1-2A, STe-10ME, ST1-14BE, ST1-15I, ST1-16P, STe-6NE, ST1-7PW, STe-5WT, ST1-5WT. Level of teacher scaffolding: High – oversee activity, facilitate discussion and assist students in creating wind turbines. Digital technology opportunities: Digital sharing capabilities (extension). Homework and extension opportunities: Includes opportunities for extension. Keywords: Wind, wind turbine, wind farm, electricity, energy. 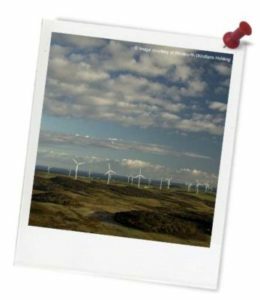 Overarching learning goal: By participating in this lesson, students will recognise words and text relating to wind and weather and will understand that we can use wind to create energy and electricity. Thought starter: Cape Denison at Commonwealth Bay, Antarctica, is said to be the windiest place on Earth. Write one or two sentences using your windy word.